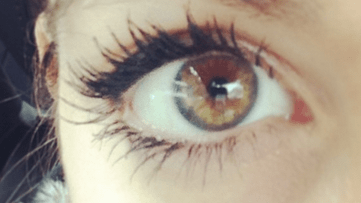 I had a chance to try out a new beauty product today – “They’re Real mascara” by Benefit Cosmetics – and I have to say that it absolutely surprised me. I am someone who is pretty brand loyal when it comes to eye makeup. I stick to what I know works best and I’ve used the same mascara for a very long time. Well, one trip to Sephora has pretty much changed that. It seems that I found a brand new product people and it works. I tried Benefit’s hero product on last night and WOWOWOOWOWOWOW. This beauty product lengthens and it provides volume. Absolute M-A-G-I-C. Benefit Cosmetics They’Re Real! Mascara retails for $27 on Amazon and is worth every damn penny. This is my new mascara people and I am a mascara girl. I don’t do ANYTHING without it on.